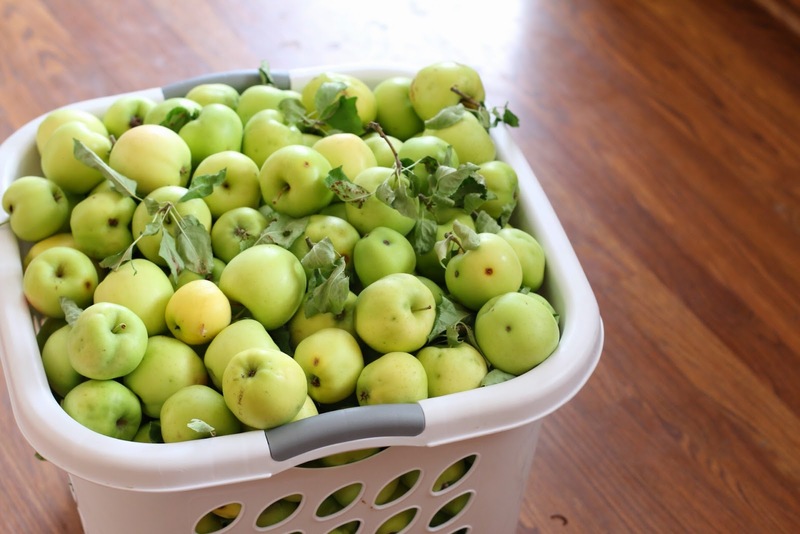 As you can see, we had a bazillion apples to preserve from our tree in our back yard. For the past three years we've canned applesauce, but thanks to all that canning of applesauce, we really didn't need to can applesauce this year. But seeing the apples fall to the ground with no plans of using them got to me. 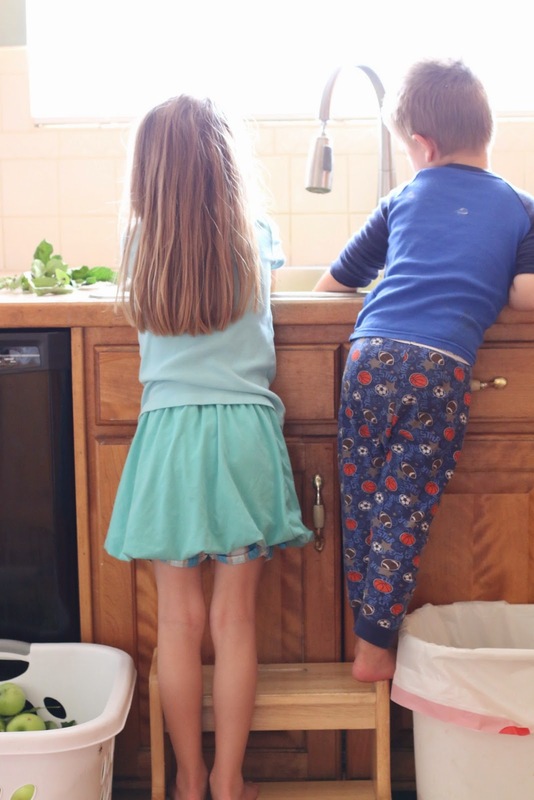 I couldn't bring myself to just ignore them, so the kids and I found a use for them: Apple Pie Filling. We found a recipe to use on Allrecipes.com and it turned out fairly easy. 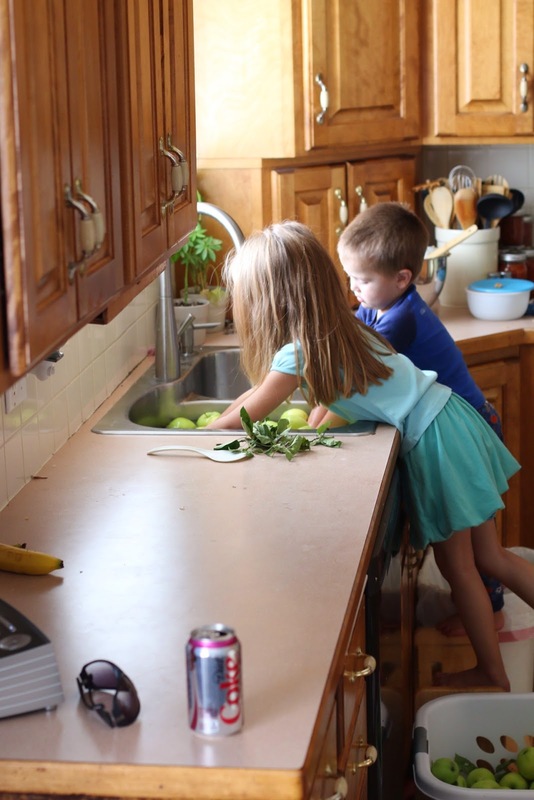 The kids helped me wash the apples before I began chopping them. 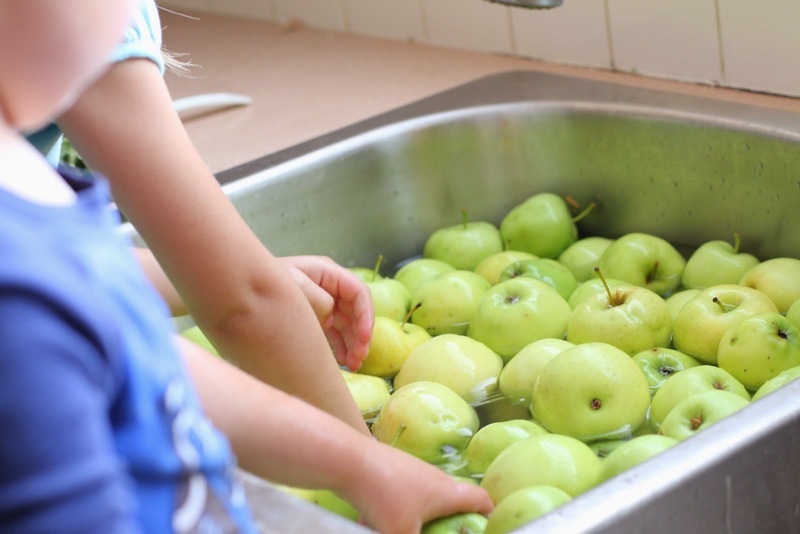 Wesley spent a good 45 minutes with his hands in the sink making sure every apple was clean and ready for me. He was drenched all down his front, but he was enjoying himself so I let him be. We don't spray our tree so the apples are completely organic, but with that comes the icky parts thanks to bugs and such. Usually I just cut around the gross spots and everything turns out perfectly fine. 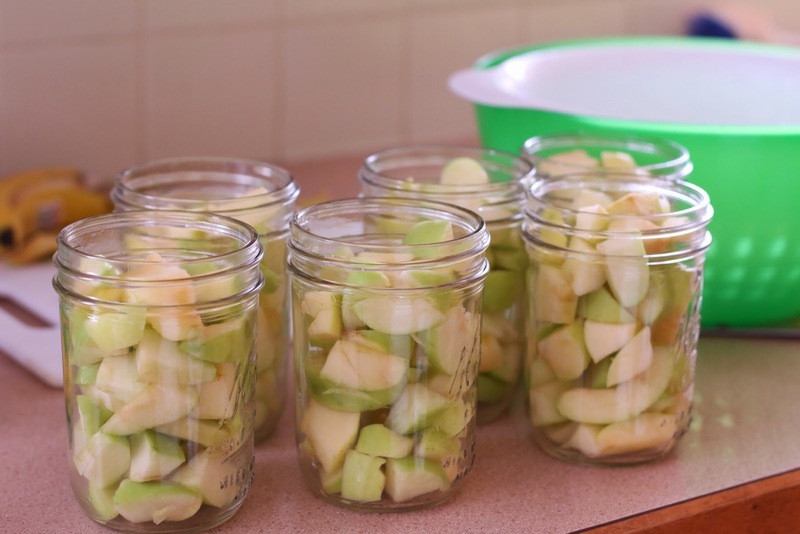 For sake of time, and resources, I didn't skin my apples for my pie filling, which most recipes tell you to do. I thought I'd give it a whirl and see if it made a difference in the taste of the pie. Besides, the skin has nutritional value... right? 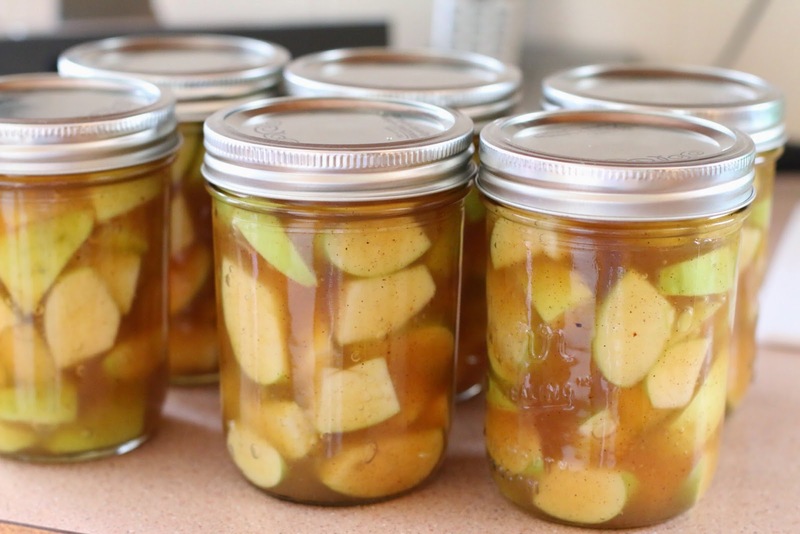 Since the apples were free and I had the jars, I figured it was a worthy endeavor to do a little experimenting that would yield me some time saved. If we ever move away from this house I will sure miss this apple tree of ours. Its an old one, probably at least 25 years old, but its definitely a good one. 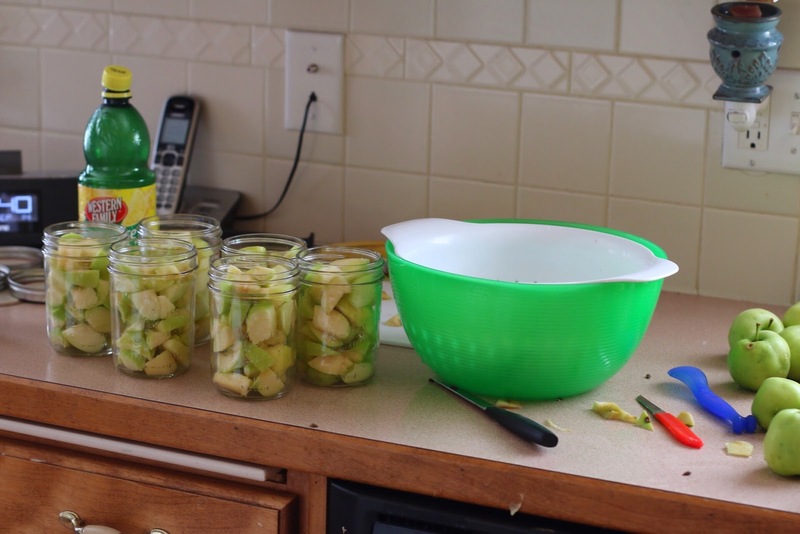 It has forced me to learn and perfect home canning and preservation skills, and I have this sweet little apple tree of ours to thank for that.